I much as I love melodic power metal, with the glut of bands out there, it takes alot to impress me, especially with a debut disc. 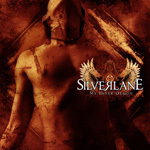 I held my expectations in check with the first spin of 'My Inner Demon' by newcomers Silverlane (not to be confused with alternative band) because it started out with typical Euro-power metal on Wings Of Eternity . Thankfully, the delivery was quick and assertive bringing spry keyboard work and fine guitar solos. Basic stuff, but Silverlane demonstrated that they have the chops to deliver the fundamentals. Vocalist Ecki Singer (no kidding) has that one-of-a-kind epic metal voice that at once can sound raw and then later inspire with it's range. Yeah, he's darn good. So what's next on this platter? For better or worse, there comes much more of the same in the first third of 'My Inner Demon.' Following the opener, the next three songs are basically melodic metal with emphasis put on the heavy, melodic and sometimes symphonic, thanks to the keyboard work of Dodo Schmitt. Though again fundamental, I liked them all if only for the energy flowing from my speakers. In many ways, Silverlane reminds me of a younger, hungrier Edguy, nearly ten years ago. With a slight exception (two instrumental seques), Silverlane brings their best between the monumental slice of melodic heavy metal, 'My Inner Demon,' and the epic metal ballad, 'Slowly.' In between you'll find vigorous and expansive arrangements that recall how much you love power metal. 'Kingdom Of Sand,' 'Full Moon,' and the magnificent 'The Dark Storm' prove that Silverlane has the talent in composition and musicianship to surprise and satisfy even the most jaded of listeners of this classic metal genre. Honestly, I haven't been this enthusiastic about a young power metal band since I heard Edguy's 'Theater Of Salvation' or 'Mandrake.' Silverlane could infuse the whole genre with that rare novelty, inspiration and enthusiasm, which it so desparately needs. 'My Inner Demon' is an impressive debut.